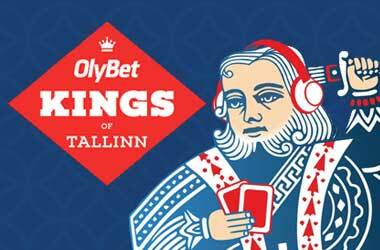 The schedule for this year’s OlyBet Kings of Tallinn has been announced. The poker festival returns to the Hilton Tallinn Park and Olympic Park Casino and runs from February 18 – 24. The Kings of Tallinn came about as a result of a collaborative effort between tournament director Teresa Nousiainen and the Olympic Casino. It was launched in 2015 by Nousiainen and Olympic Casino Deputy Manager Risto Suurpold. The tournament has grown bigger over the years and is now considered the largest poker festival in Northern Europe. Some of the top poker pros from Europe will make their way over to the poker festival. Players that are expected to be in attendance include Patrik Antonius, Anton Wigg and Ilari Ziigmund Sahamies. The seven-day festival is filled with 40 action-packed events which also include live and online satellites to the Kings of Tallinn Main Event which kicked off from February 2. The Main Event has a buy-in of €1,100, and players will start the action with 30,000 chips. There will be a single opening day with unlimited re-entries. The final two days will also be live-streamed. The winner will be announced on February 24. Juha Helppi took down the 2018 Kings of Tallinn Main Event, besting a field of 268 entrants. He took home €62,000. The Finnish poker pro will try to score another huge win this year as he returns to the table to defend his title. The Kings of Tallinn Festival features a number of side events for everyone to enjoy. Players can take part in No-Limit Hold’em, Pot-Limit Omaha, Pineapple Open-Face Chinese, Crazy Pineapple and Sviten Special events, among others. There’s a wide range of buy-ins to choose from, the highest being the €3000 Kings of Tallinn Highroller scheduled on February 23 – 24. Smaller buy-in events as well as freebuys and 24-hour cash games are also spread across the seven-day tournament. The festival will also see four-player teams compete in a Team Challenge through points earned by cashing in events. The Team Challenge is funded by 2 percent of the buy-ins from all events with at least 25 unique players. The winning team will get 75 percent of the Team Challenge pool and all the members will also earn a €500 seat to the 2019 Battle of Malta Main Event. The remaining 25 percent will go to the runner-up team. Last year, around 1,000 unique players took part in Kings of Tallinn with approximately 3,500 tournament tickets sold.